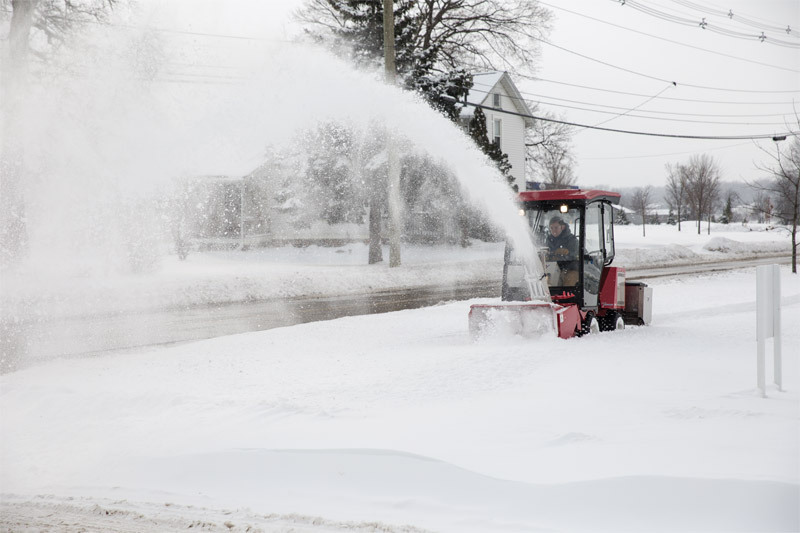 Ventrac 3000 with LX423 Snowblower - The hydraulically activated discharge chute can rotate 180 degrees, all from the convenience of Ventrac's exclusive S.D.L.A. control system. Chute deflection is manually adjustable. An electric chute deflection controller is optional.